MP Lifts and "Logistik Dialog" at the Spanish Business Breakfast - Cehaus Webseite! 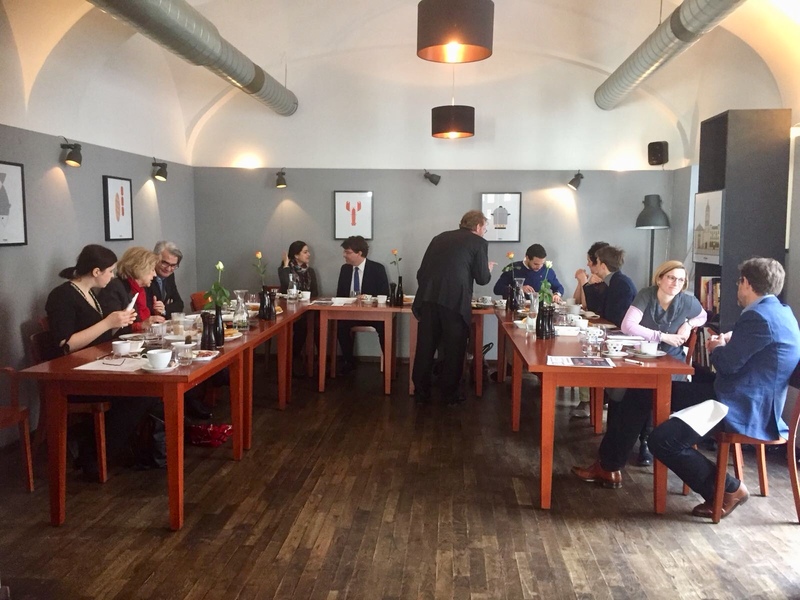 On March 8th, 2018 we had a again a successful and interesting Spanish Business Breakfast. 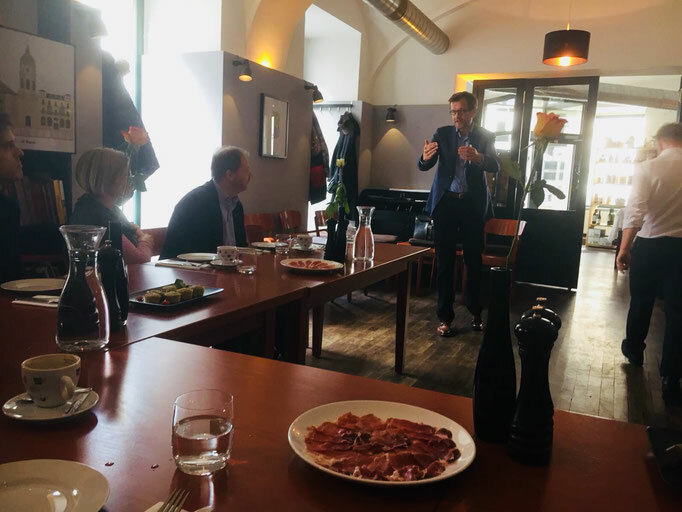 Álvaro Rein, CEE Area Manager of MP Lifts gave us a fascinating insight on how a leading Spanish industry group uses Austria as a platform for Central and Eastern Europe. 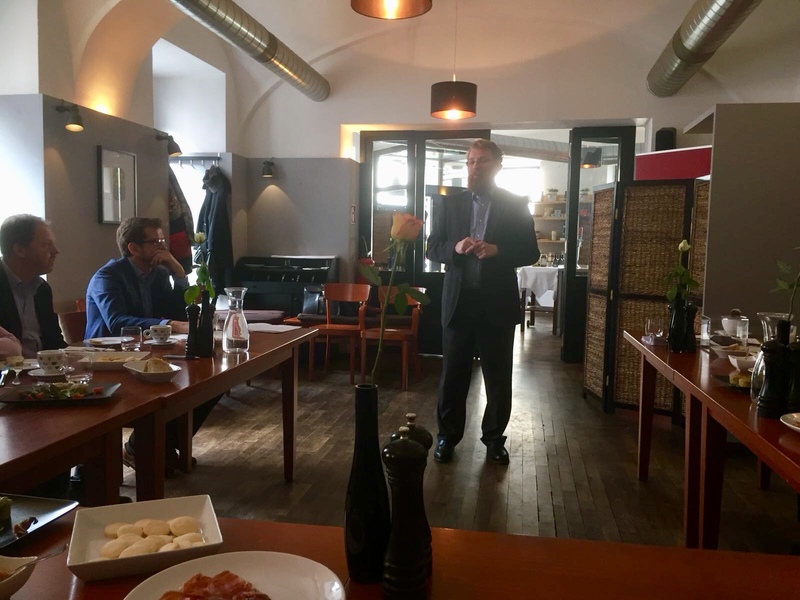 Further on, Wolfgang Kubesch, managing director of our partner BVL, presented to us the “Logistik Dialog”, Austria’s leading event in the logistics sector with more than 800 participants. CEHAUS members have the opportunity to attend for an extremely reduced rate whereas at the Spanish Business Breakfast three free entrances were drawn going to Beatriz Quintanilla Garcia from Erste Bank, Javier Betoret from Colono Gourmet and Wolfgang Regele from Sazun GmbH. Congratulations!